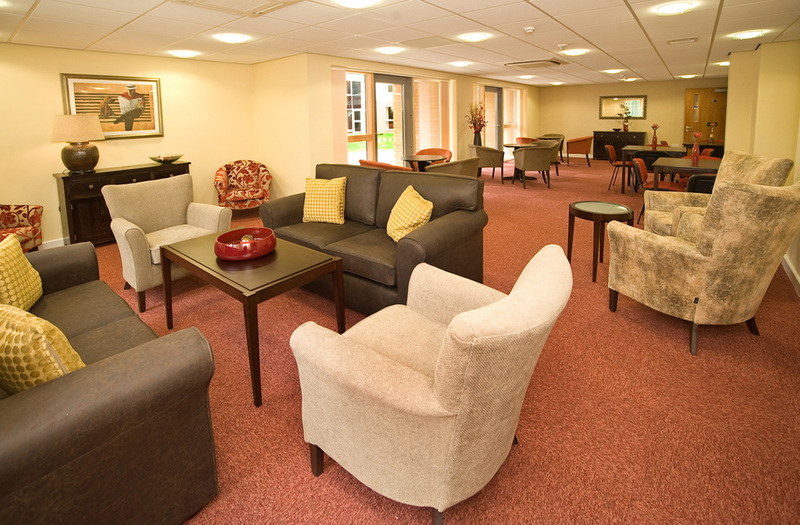 McPhillips was awarded this project for the development of 54 assisted living apartments in Woodside, Telford for The Wrekin Housing Trust in 2008. The construction consists of a 4 storey steel frame with precast concrete floors finished with pump placed Flowcrete screed. 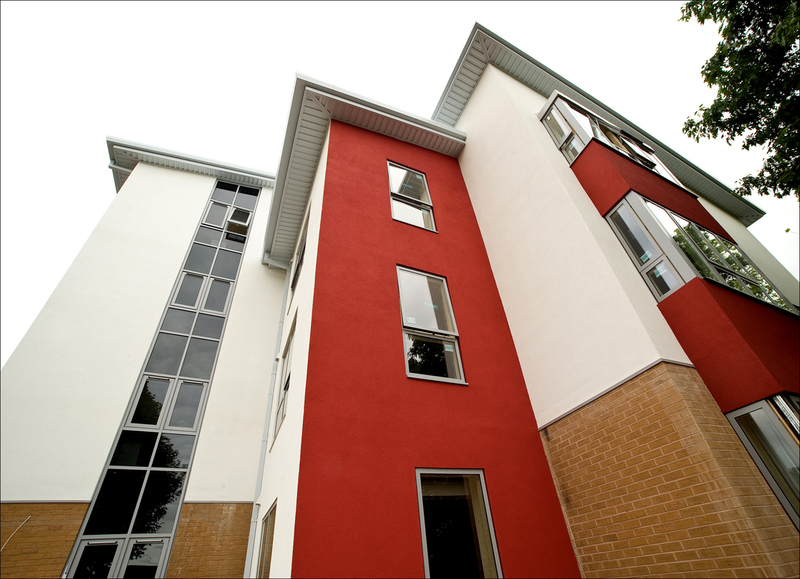 External walls were a combination of facing brickwork and blockwork finished using Permarock render. Internal walls were built using lightweight concrete thermal blocks and a thin joint construction method. Internal partitions to flats were metal stud and plasterboard. We used a timber trussed roof with raised seam metal decking. External windows, doors and glazed screens were composite aluminium/timber and upper apartments have external balconies with sliding, louvered cedar screens. 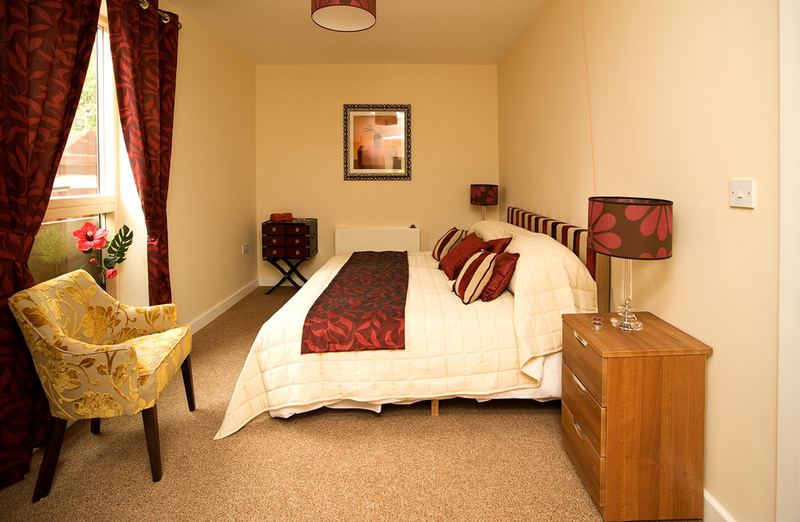 The building includes a range of one and two bedroom self contained flats which are all wheelchair accessible and contain fully fitted kitchens with built in oven, hob, extractor fan and fridge/freezer, shower rooms with non-slip flooring and an emergency community alarm system. 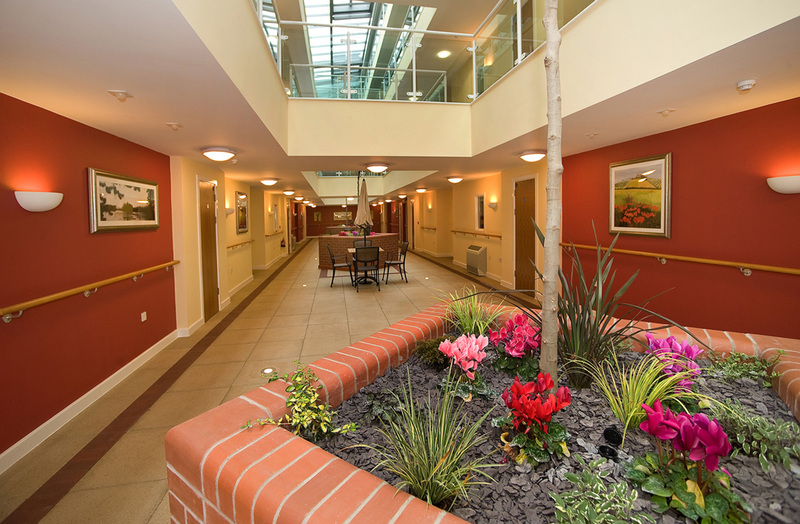 The communal facilities include a shop, keep fit and well-being studio, hairdressers, hobbies room, restaurant and a feature glazed atrium/conservatory. 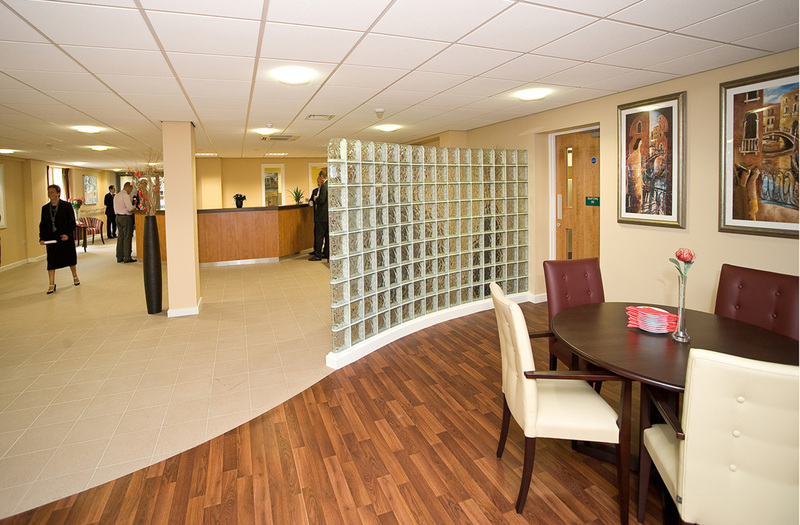 We were able to use our previous experience with care home and health sector clients to deliver a high quality project on time and within the original budget. 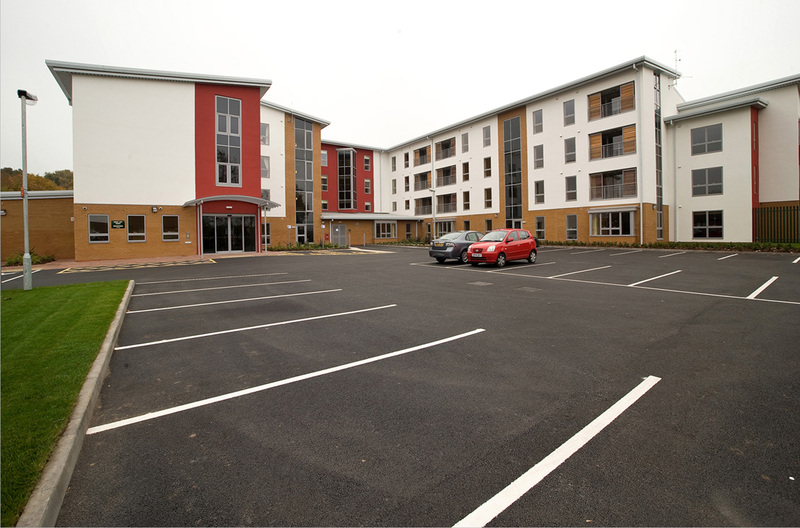 The building has been extremely well received with The Wrekin Housing Trust using it as a demonstration project for similar developments. 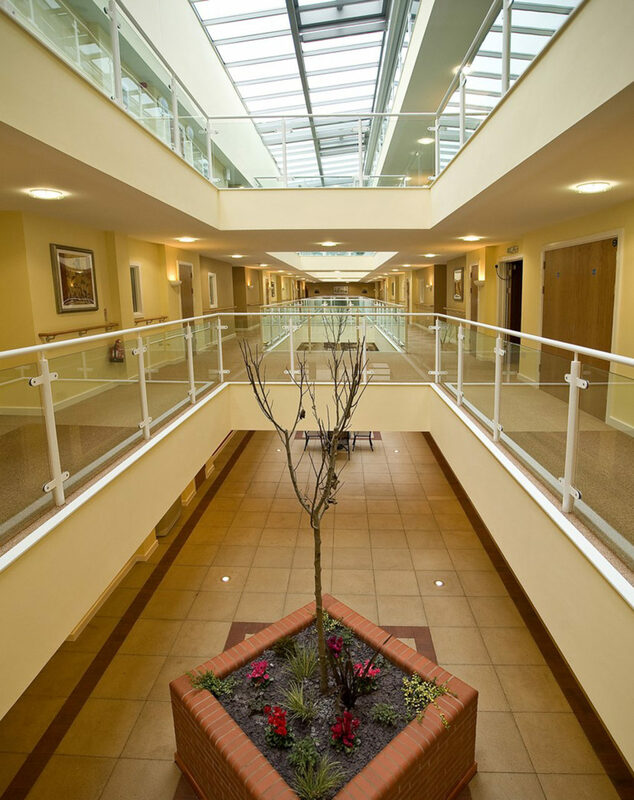 The building was designed from the ground up to offer increased security and safety to its users and is one of the largest schemes to have been awarded “Secured by Design” status by West Mercia Constabulary, the scheme was also selected as a finalist at the Pinder Health Care awards.